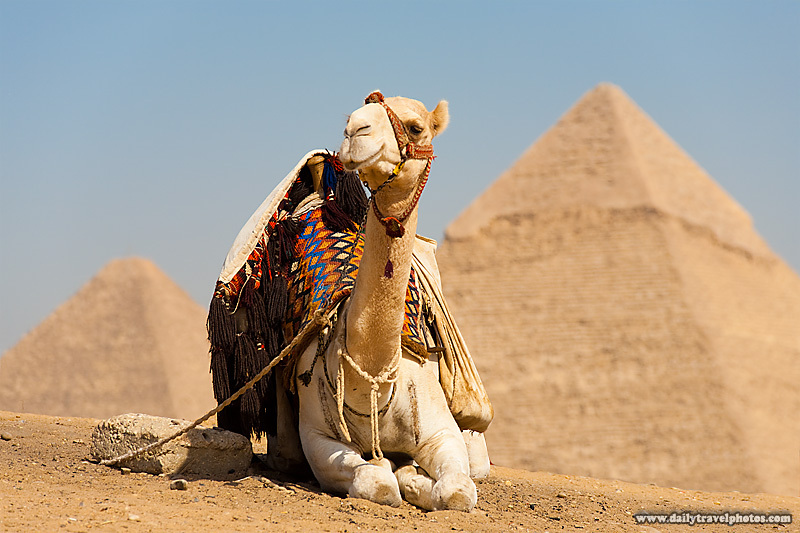 A tourist camel waits at the officially sanctioned viewpoint of the pyramids. 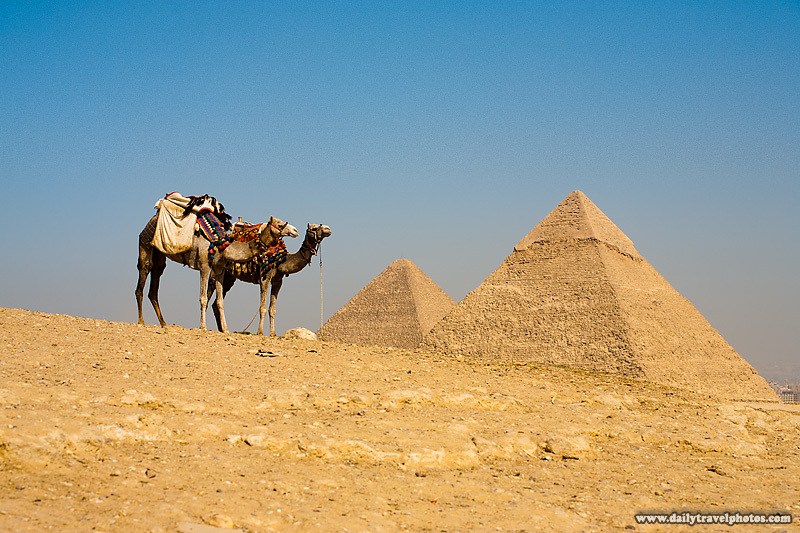 This is the official viewpoint sanctioned by the pyramid's officials. Frankly, I think the photo from yesterday's unofficial viewpoint is far superior. 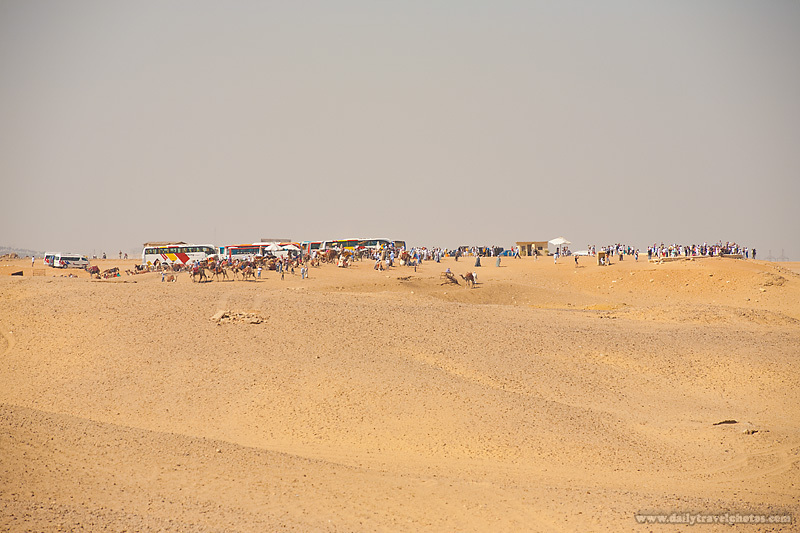 Camels await tourists snapping photos at the official viewpoint of the pyramids. From yesterday's unofficial viewpoint, looking onto the official viewpoint, the clusterfook of tourism gone-awry. Unrelated: It's Turkeyday in the middle N. Americas today. May your turkey be moist and your cranberry sauce, gelatinous. And boy, I'm thankful as ever to be in Thailand for the winter despite the complete lack of turkey products in the greater Bangkok region! If anyone's got some spare dark meat left over, snail-mail it over this way, will ya? Happy and healthy Thanksgiving to everyone!